David Ferrer will play one of the last tournaments of his career this week, as the (almost) 37 year old Spaniard is set to retire a couple of months from now in Madrid. He will face local favorite Sam Querrey on Thursday in the first round here in Miami. Querrey is having an average year so far in 2019, posting a 6-5 win loss record. His best performance was a semifinal in New York last month, which is not that impressive for a player of his caliber. Querrey is coming after a decent showing in Indian Wells, where he actually appeared to raise his level a bit. He defeated a solid Berrettini in the first round and gave an in form Raonic a few problems in a second round loss. David Ferrer has been far from his best for quite some time, and he is currently enjoying his last few months on tour. The Spaniard started 2019 with a pretty good showing in the Hopman Cup (def Pouille and Ebden, lost to A. Zverev), and reached the second round in the other three tournaments he played (Auckland, Buenos, Aires, Acapulco) – but without registering any notable wins. Bet on Querrey v Ferrer and claim a 100% (120 Eur) welcome bonus at LSbet now! Ferrer leads the H2H 2-1 (1-1 on hard courts), but all meetings were before 2012. A H2H analysis is pretty much useless here, as past meetings are not relevant. The surface should work fine for both players, as both are very competent on hard courts. Ferrer isn`t the player he once was, that is for sure, and he acknowledged that himself. 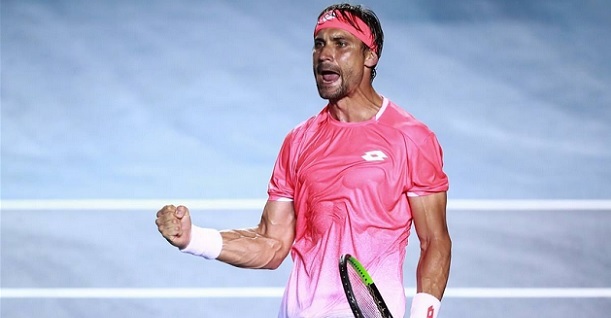 In early January this year Ferrer said that he can still play well, but that his physical condition isn`t allowing him to maintain a high level for more than one match. That proved to be a very fair assessment of his own situation by Ferrer, as he showed some good tennis at times in 2019 and won a match in every tournament he played – but wasn`t able to win two in a row. Also, in all of his losses he was competitive at least in the first set. The first impulse here was to back Querrey against an aging Ferrer, who is playing with pain, but Querrey isn`t playing that well either. Ferrer proved this year that he can be very competitive for at least one round, and for at least one set even in his losses. In fact, Querrey`s and Ferrer`s results this season are quite similar. If we take all the above into account, chances are that Ferrer will be able to make this a match, at least at first. As such, my tip will be over 22,5 total games to be played. It`s a reasonable line which can also be covered in two sets, and it might be better to go this way than risk a Querrey win at odds below 1.60. Prediction: Sam Querrey – David Ferrer 6-7 6-4 6-3.